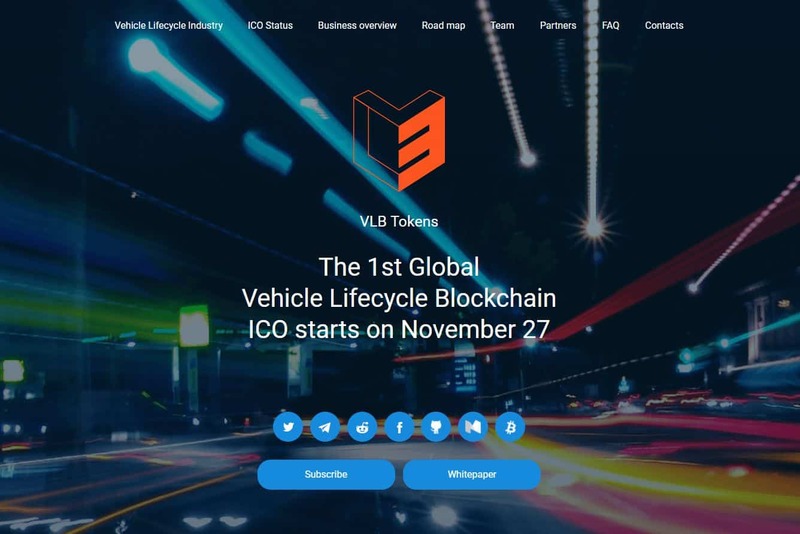 CarFix, a transactional maintenance, and repair platform reshaping the $1.8 trillion vehicle lifecycle industry, has announced its ICO for the VLB token on November 27, 2017. By embracing leading Blockchain technology, CarFix is issuing the VLB token, and hopes to change the face of one of the most obsolete industries in the world. CarFix will take a comprehensive approach to streamlining the relationships in auto sales, auto repair, auto insurance and auto finance industries. The result will be Vehicle Lifecycle Blockchain that will usher many vehicle lifecycle industry players such as vehicle manufacturers, dealers, repair shops, insurance companies, spare parts distributors and others into a new era. Proceeds from the ICO will be used to develop and implement a Blockchain platform for the vehicle lifecycle industry to bring transparency and immutability to everything that happens to a car from the moment it comes off the factory floor and to the moment it is recycled in the junkyard. After only 18 months since its launch, CarFix has brought a significant degree of order and transparency into the vehicle lifecycle industry, an industry closely associated with fraud and incoherency. By implementing a software that establishes fixed prices for all vehicle repairs, the CarFix ecosystem currently encompasses over 500 repair shops, 10 of the largest spare parts distributors, major dealerships, and over 250,000 users of which 50,000 are regular paying customers. This ecosystem is continuously growing, and will be further empowered by the Blockchain’s core premises of decentralization and immutability of records. In essence, the VLB token is bringing trust to a once thought “trustless” industry. The client provides his/her car model, VIN number or license plate number, contact information and desired time and location. VLB takes this data and instantly offers the client the three best repairs shops in his/her selected location. The VLB software then selects the required spare parts based on statistical data and manufacturer recommendation. After determining the required labor hours, VLB determines the prices and arranges all relevant appointment scheduling and deliveries. The customer gets his/her car repaired or, first, objectively diagnosed and then repaired with full transparency! CarFix boasts an impressive team of advisors, including Sergey Solonin, founder and CEO of QIWI (NASDAQ: QIWI); Alexey Arkhipov, CTO of QIWI Blockchain Technologies and the developer behind MasterChain, the first Blockchain solution implemented in the Russian banking sector; and Hannes Chopra, former Senior VP of Allianz Insurance Company.